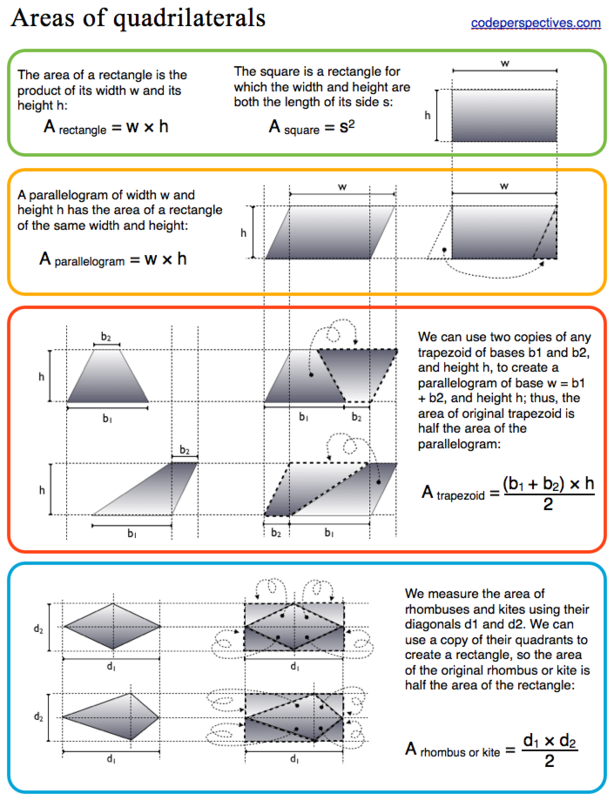 This is a visual derivation of the formulas of the areas of many quadrilaterals, based on the area of a rectangle. This material is usually taught in 6th grade. Please, feel free to use this graph in any way that you might find useful.